SMS marketing is a great medium for movie theaters. It allows them to reach out to a large audience and expand their business operations. Given the competitive nature of the industry it is absolutely necessary that theater owners come up with effective ways of marketing their businesses. It’s a great marketing tool which movie theaters must use. Let’s discuss some of the benefits of SMS marketing for movie theaters. SMS marketing is fairly inexpensive yet highly effective. If you compare it with other mediums then you will be able to clearly see that it is cheaper. 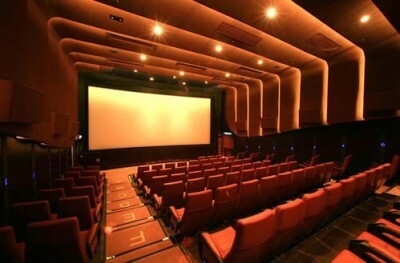 Since the marketing expenses are lowered the extra money could then be used to make improvements to the theater. SMS marketing is an excellent way of bringing in new customers. A large customer base means more profits and better business reputation. You could send out mobile coupons offering discounts and deals. SMS marketing can be used to bring in customers. It is a great way of spreading information and encouraging customers. Previously there was no reliable tool available to reach out to customers but now with SMS marketing all your problems can be taken care of. SMS marketing can be used to improve customer service. You could communicate better with customers by sending them regular updates about movie timings and ratings. Messages can be used to inform customers about new movie releases. If there is a special event like a movie premiere then text marketing can be used to convey the message. Strong relations with customers are essential for the success of any business. SMS marketing enables you to get up close and personal with customers thus winning their trust. Movie theaters can create special customer packages that cater to their needs. These packages may be specific to certain groups such as regular customers and VIPs. The benefits of SMS marketing are there for all theater owners to see. Any business manager would be foolish to not implement this marketing strategy given the amazing benefits. SMS marketing could be the boost that your business needs. Amongst the numerous businesses using text marketing movie theaters are the ones that are benefitting the most. It provides them the opportunity to share information in real time thus increasing their chances of success and also ensuring higher revenue in the long run.